The most damning account of all comes in Lijia Zhang's "Chinese Tech Companies’ Dirty Secret" (New York Times Opinion, 4/23/18), which includes a video presentation. At 1:34, there's a job ad from the Chinese tech company Meituan which is so disgusting that I've purposely put the screenshots on the second page. (What follows in the video is even more repulsive.) I didn't want to pass up the Meituan ad altogether, however, because it does have an interesting linguistic hook. Ask Language Log: Are East Asian first names gendered? 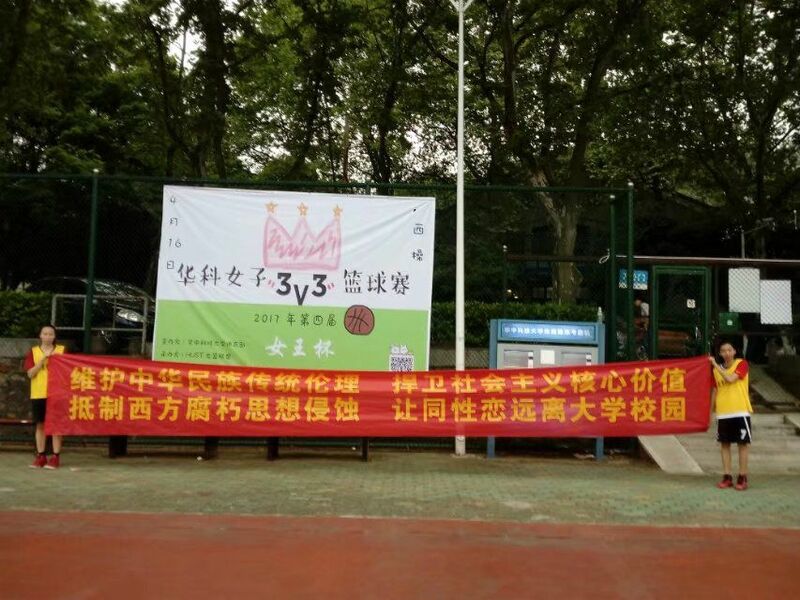 I wonder– are first names gendered in Mandarin? That is, is it possible to tell that Tse-tung or Wai-wai are masculine names? Given the extraordinary proliferation of Chinese first names, I rather doubt it. And what is the case with Japanese first names? Here, I suspect that the names are gendered, although of course I don't know. Bilibili (bīlībīlī 哔哩哔哩; B zhàn B站 ("B site / station") "is a video sharing website themed around anime, manga, and game fandom based in China, where users can submit, view, and add commentary subtitles on videos" (Wikpedia). When you register for this site, you're supposed to declare whether you're M(ale) or F(emale), in which case your posts will be referred to respectively as "tā de 他的" ("his") and "tā de 她的" ("hers"). If you do not specify your gender, your posts will be referred to as "ta的" or "TA的", i.e., neither M(ale) (tā de 他的) nor F(emale) (tā de 她的). David Brooks recently argued that James Damore's anti-gender-diversity memo was right, and that Google was wrong to fire him ("Sundar Pichai Should Resign as Google’s C.E.O. ", NYT 8/11/2017), giving us another example of Mr. Brooks' long-standing fascination with pseudo-scientific justifications of gender and ethnic stereotypes. Zunger focuses on points (2) and (3) — for a a deeper dive into point (1), see e.g. Rosalind Barnett and Caryl Rivers, "We’ve studied gender and STEM for 25 years. The science doesn’t support the Google memo. ", recode 8/11/2017. But what about David Brooks? 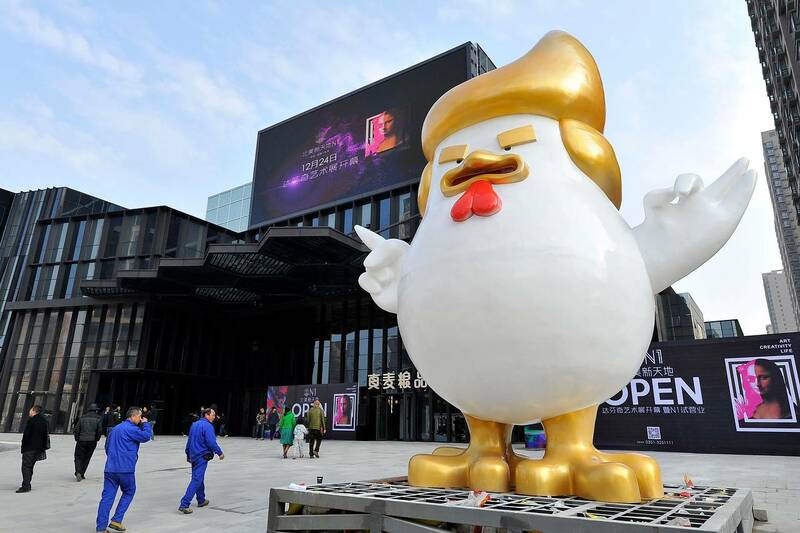 For some reason, the Chinese have taken to comparing President Elect Trump to a rooster, this year's symbol in the 12-year cycle of the zodiac. One of the discussants just mentioned that the words tóngqī 同妻・ tóngfū 同夫 are recently being used in China to refer respectively to a "wife with a homosexual husband" and a "husband with a homosexual wife". In Wired (2/1/16), Liz Stinson has an article titled "This Little Red Book Confronts Sexism in the Chinese Language" (the text is accompanied by a total of 8 slides). Activism can take many forms. In the case of Women’s Words, it takes the form of a little red dictionary. The tiny book is the work of Karmen Hui, Tan Sueh Li, and Tan Zi Hao of Malaysian design collective TypoKaki. On its pages you’ll find made-up words and phrases—Chinese characters that, through their unusual arrangement and alteration, subvert the sexism ingrained in Mandarin.